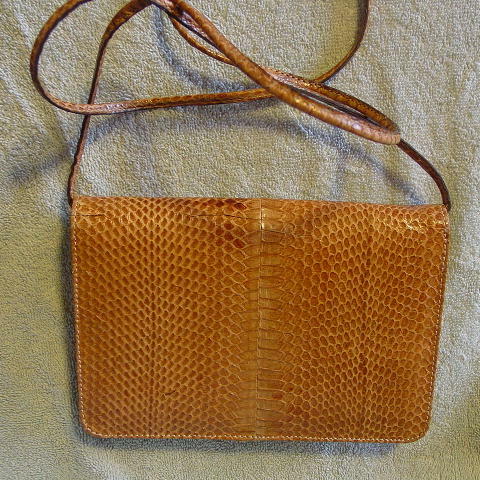 This vintage snakeskin envelope style purse was foreign-made. 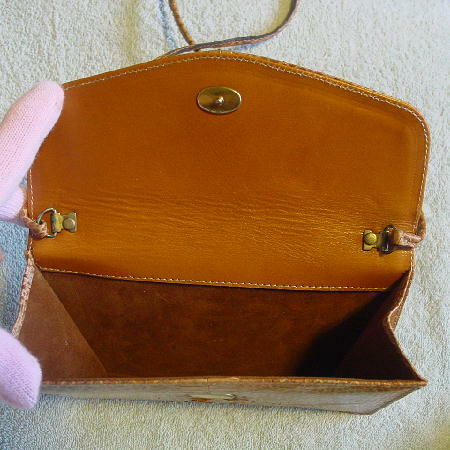 It has a camel color background with occasional light and dark gray line marks on the front side and two on the front flap. The scales are in dark camel and various shades of brown. 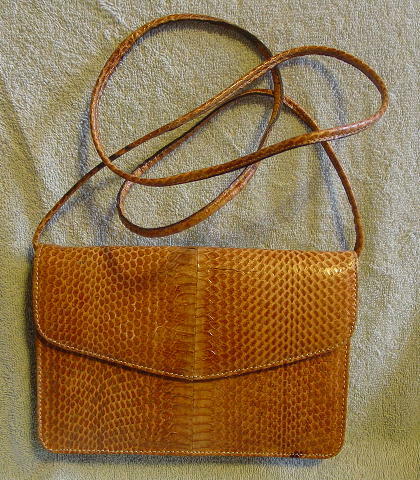 It has a hidden one snap closure and a rolled snakeskin (49" long by 1/4" wide) shoulder strap. 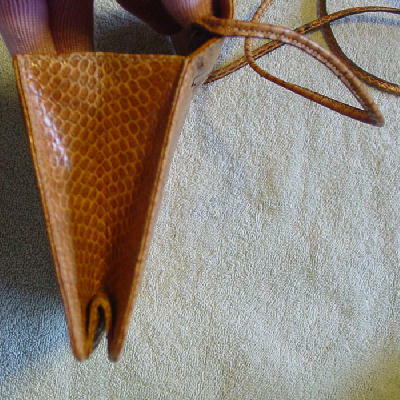 The strap has a few very dark brown scales. 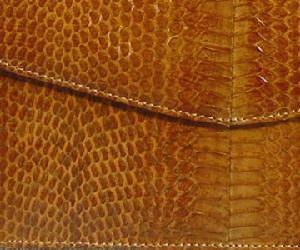 The interior of the flap is in a caramel color leather and the lining is in a medium brown suede. The exterior is completely covered in snakeskin. The center front and back have some very nice large scales. It can also be worn in the daytime if you don't plan on carrying too much. She wore it once to a movie premiere and to a charity fundraising event.